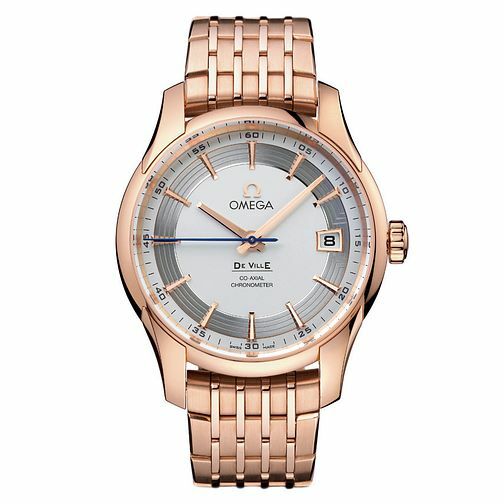 True to the Omega values, this De Ville Hour Vision men's bracelet watch offers innovative style with 18 carat rose gold plating and a fresh white dial. Complete with date function and the timing precision Omega is so renowned for, this Omega timepiece delivers the perfect balance of fashion and function. Powered by Co-Axial calibre 8501 movement.